A survey of fields containing rig and furrow was carried out by Susan Hunter. The result of the survey is available here. 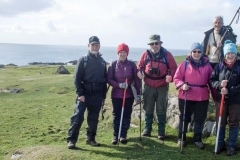 The recent ACFA Tiree Survey was anything but uneventful – yet the outcomes were impressive. 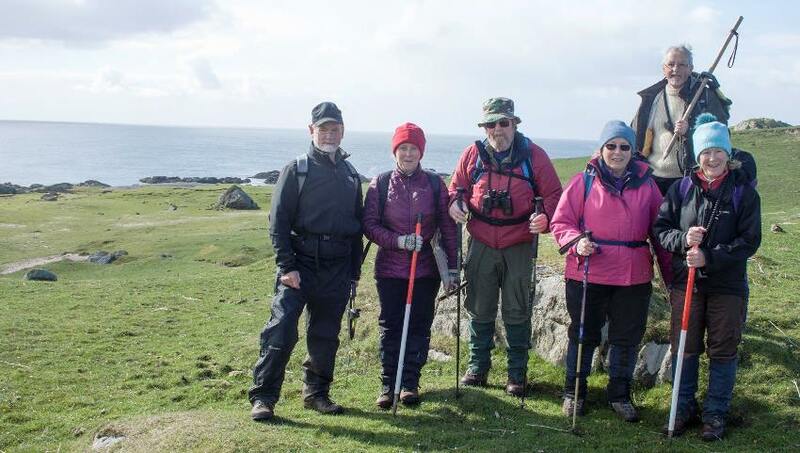 Members shrugged off broken-down cars, cancelled flights due to unprecedented snow (Tiree last had a significant episode 25 years ago) and a lost day of fieldwork due to said snowfall, to survey more than 80 archaeological features on the island, many previously unrecorded. Quite an achievement in just four working days. The survey was a true ‘multi-agency’ endeavour. ACFA worked closely with the islanders themselves, Dr Heather James of Northlight Heritage, and Norse and medieval experts Dr Colleen Batey and Dr David Caldwell. 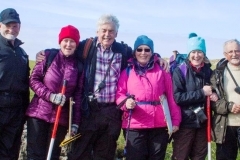 The pooling of resources included an Archaeology Week which coincided with the island’s annual celebration of all things healthy – a half-marathon, a lecture evening in the village hall, and a ceilidh. 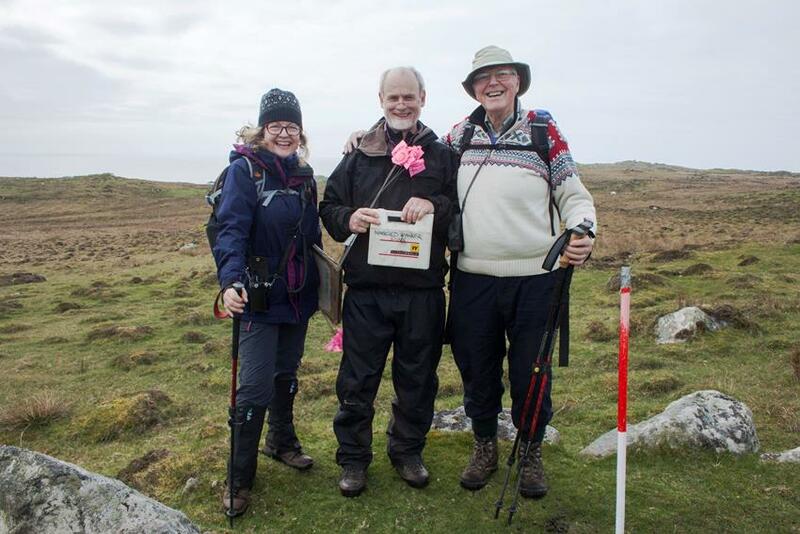 The ACFA Tiree survey was prompted by local doctor John Holliday who has, over many years, collected more than 180 place-names of Norse origin. 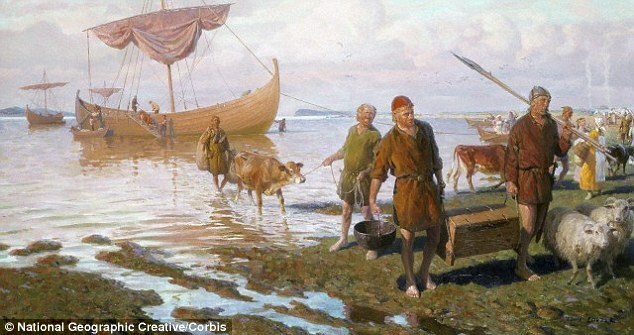 This suggests that the Norse presence on the island was substantial and long-lasting. However, to date there has been little archaeological evidence to support this thesis. 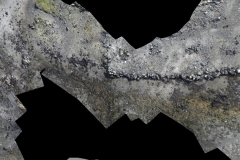 One of the aims of the ACFA survey was to begin the process of identifying and tentatively dating medieval and pre-improvement settlement evidence on the island. 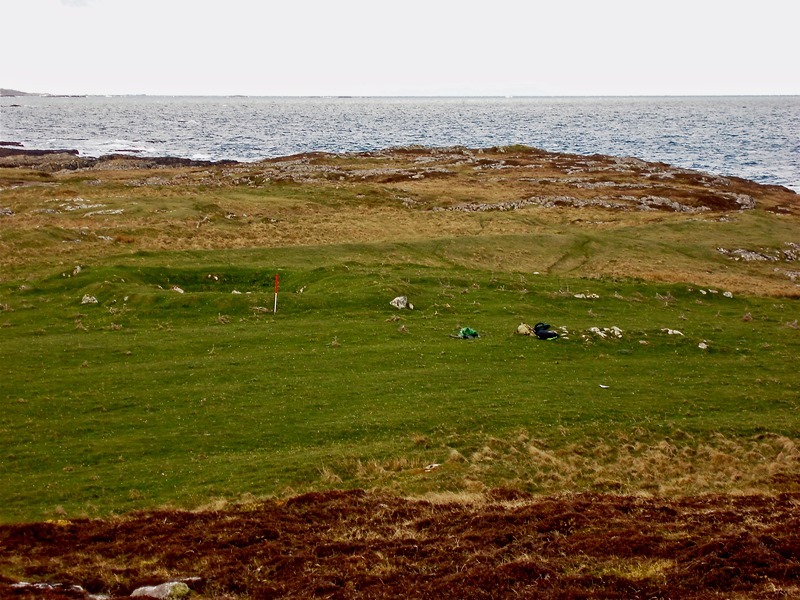 There have been several attempts to identify medieval – and in particular Norse – settlements on Tiree in the past. However, these have been hampered by severe sand-blow. Many small townships seen on a 1768 Argyll Estate map, for example, have disappeared and the ephemeral nature of pre-improvement Tiree houses also leads to problems of identification without archaeological excavation. This might equally be said of cottar dwellings of the later period. So not an easy task! 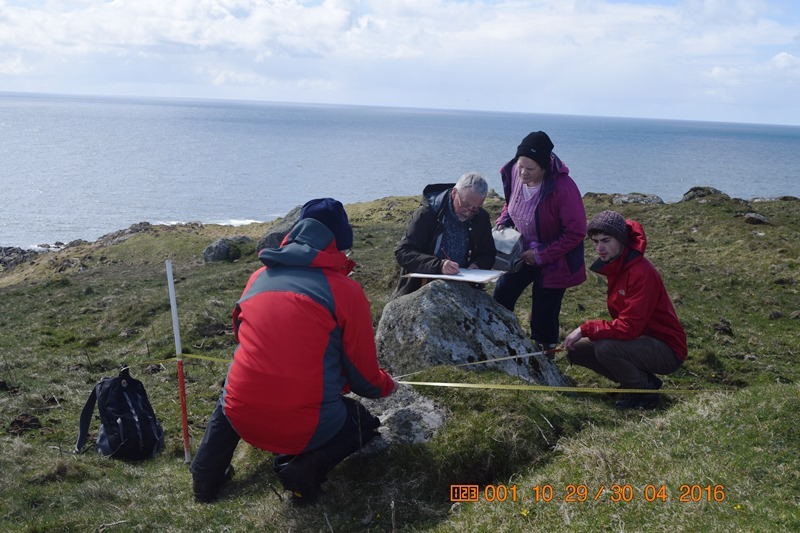 Among the highlights of the ACFA survey was a complex and significant multi-period landscape on the bluff headland Hynish, to the south of the island. A team, led by Dugald MacInnes, surveyed an impressive 42 features, many previously unrecorded. These included a possible stone circle, one, possibly two, putative robbed-out kerbed cairns, several round huts and several small farmsteads and houses, some with enclosures. 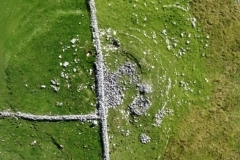 The exact relationship of these latter features to a complicated system of field boundaries of various periods and nearby Dun Shiader (‘fort of the shieling’ in Norse) will scratch many heads during future visits. 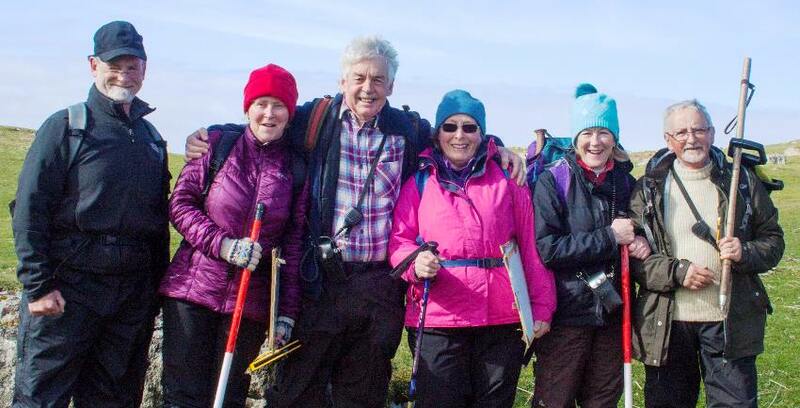 At Loch Dubh a’ Gharraidh Fail, Balephetrish, near the spectacular Ringing Stone, Wendy Raine’s group worked on a dwelling that had been noted on Canmore as a church or possible Norse house. The house in its present form has now been tentatively identified by Batey and Caldwell as dating from after the Norse period. The jury is out as to whether it is medieval or later. 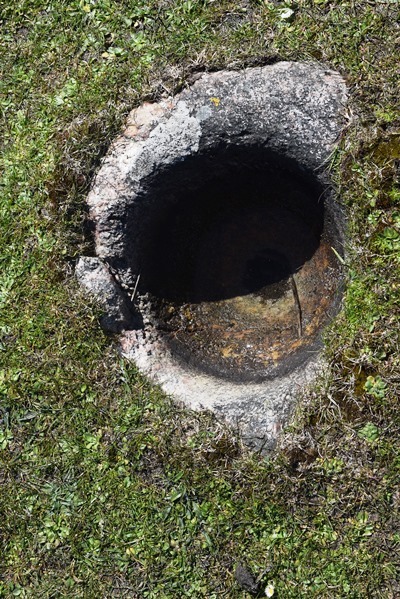 It is hoped future test-pitting at the site will assist with assigning a date which can then be used as a template for other, similar house sites on the island. 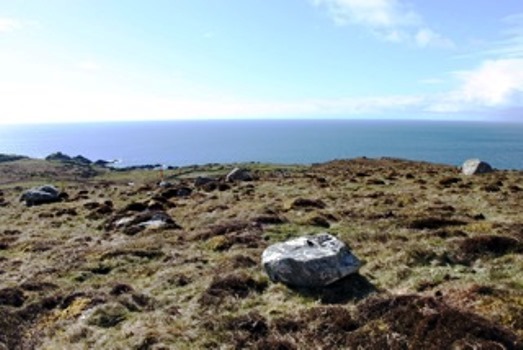 At Ceann a’ Mhara, which occupies a commanding position over-looking Loch a’ Phuill and Balephuil beach, Ian Marshall, Fred Hay and Ollie Rusk recorded two possible medieval houses. One of these was listed as an ancient dwelling on Canmore and having seen the drawing, Dr Caldwell has confirmed he is happy to assign a medieval date. 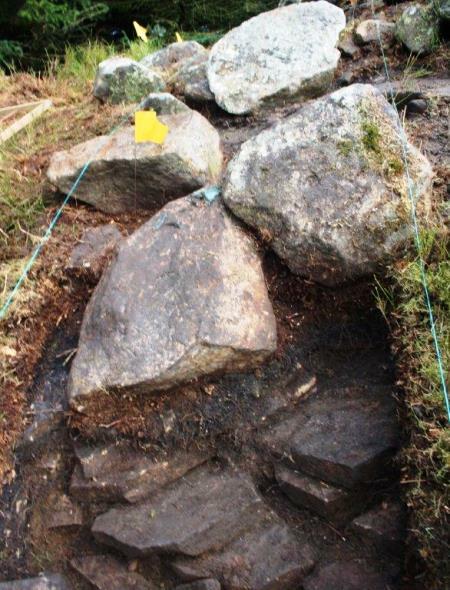 If this is the case, it will be one of the first identified medieval dwellings on Tiree. 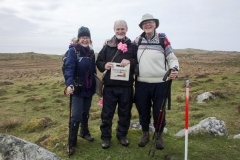 Fred Hay, Ian Marshall (ACFA) and Ollie Rusk (Glasgow University), with Flora who was born in Balephuil, on the slopes of Ceann a’ Mhara, Tiree. 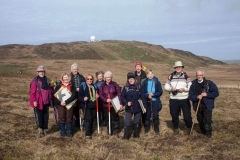 The survey at Kilkenneth, on the face of it, was less ground-breaking – a cluster of farmsteads and buildings, several of which are recorded as roofed in first edition OS maps. However, this exercise will contribute greatly to our understanding of island house styles over time – and the effects of sand and erosion on such features. Janet MacDonald’s team also threw up an interesting conundrum – the Tiree triangular enclosure. Triangular – rather than rectangular enclosures – seem to be a feature on the island. A longhouse drawn by Ian Marshall at Hough and certainly earlier than 1768 because it does not appear on estate maps, has a similar triangular enclosure. If any members have come across this elsewhere in the Hebrides, it would be useful to hear from them. Until then, a romantic might suggest that this is a cultural tic – an echo of sacred, Norse triangular enclosures. Hmm. Now, where did we put that triangle? 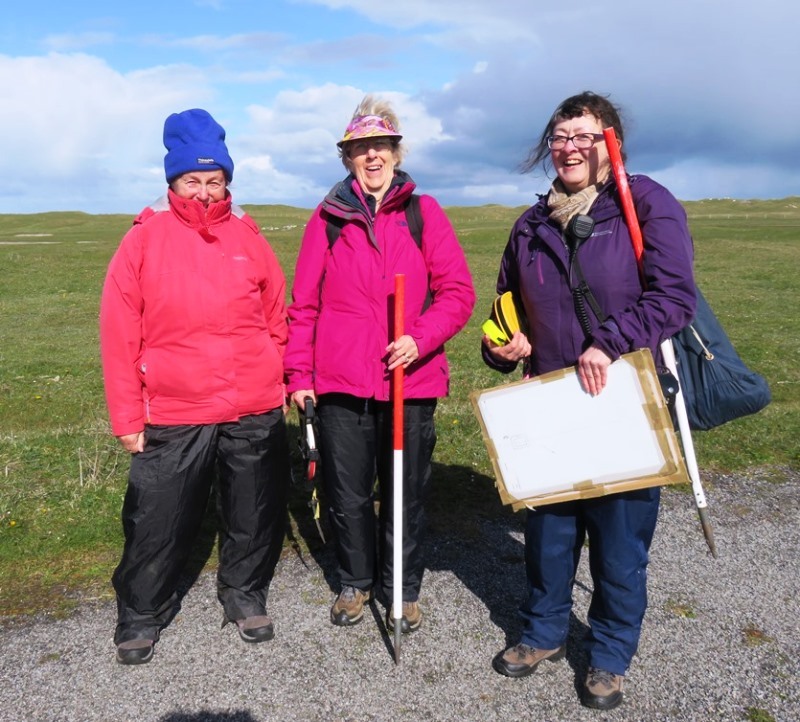 Frances Hood, Helen Maxwell and Janet MacDonald, Kilkenneth, Tiree. Other notable finds were the identification by Frances Hood of a beautiful ‘knocking’ or grinding stone carved out of Tiree marble which she remembered from past visits to the island on holiday. 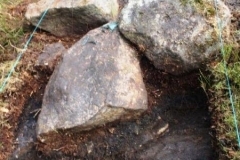 The object has lain partially buried at the front of a house in Caolas. And finally, at the eleventh hour, as members were preparing to stagger on to the Cal Mac ferry for home, the interest raised on the island by the Archaeology Week, and the enthusiastic participation of locals in ACFA fieldwork, may have led archaeologists Colleen Batey and Heather James to a burial site of national significance. More on this to follow, and a full report on the 2016 Tiree Survey will appear in the next ACFA magazine. ** Many thanks to the people of Tiree and Dr John Holliday for a warm welcome and a memorable few days. 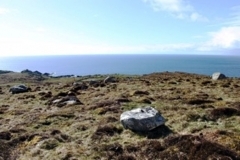 Below left: Knocking stone Right: View of stone circle looking south. 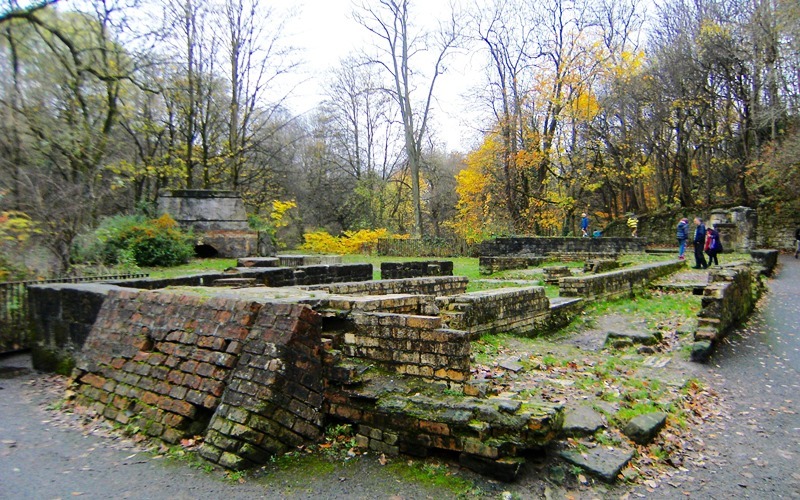 The remains of North Woodside Flint Mill were surveyed in November 2015 by Scott Wood, Elaine Black and Elizabeth Bryson. The water-powered mill has had various configurations and functions and operated off and on for over 200 years. It was excavated (no finds), demolished, restored and consolidated by the Corporation of Glasgow in the 1970s but time (and the mountain bikers) has taken its toll and some of the walls are deteriorating rapidly. It is hoped that some work may be able to be done to consolidate what is left.